It's now the end of September and probably nearing the end of comfortable tent camping for this year. The weather forecast was good for this weekend and so we decided to choose a Certified Location from the Camping and Caravanning Club which we've been members of for a week! We chose Heathy Roods Farm in the Peak District and it was absolutely stunning. The small site is quite remote, up on top of a hill with beautiful views all around. 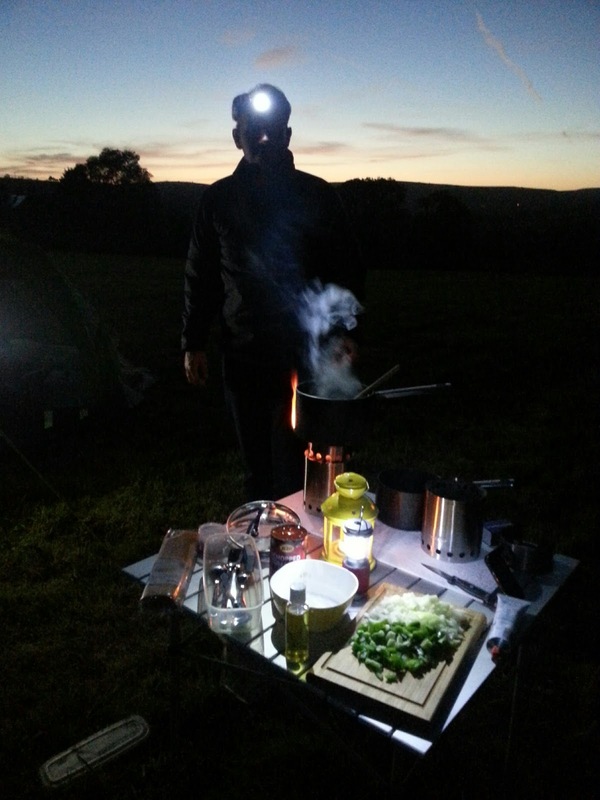 We arrived at 6.45pm and had about another hour of light to pitch the tent and make a start on preparing dinner. There are two level fields to this site and I think the larger one has the best views. It sits next to a sloping field that had just been harvested for hay and the bails sat dotted around. The larger field has a corner sectioned off for Duke of Edinburgh groups and one such group was there on our first night. They didn't make too much noise and were quiet by at least 10pm until they packed up about 8am in the morning. We like to cook, and we like to cook fresh food properly. There'll be no difference between how we cook at home and how we cook when camping, and so the challenge we've set ourselves it to ensure we have an all-encompassing camp store cupboard. The toughest thing to crack has been how to store herbs and spices. Supermarket bought herbs and spices come in glass jars which will add unnecessary weight to our load and clink around until we wish we could jettison the lot. 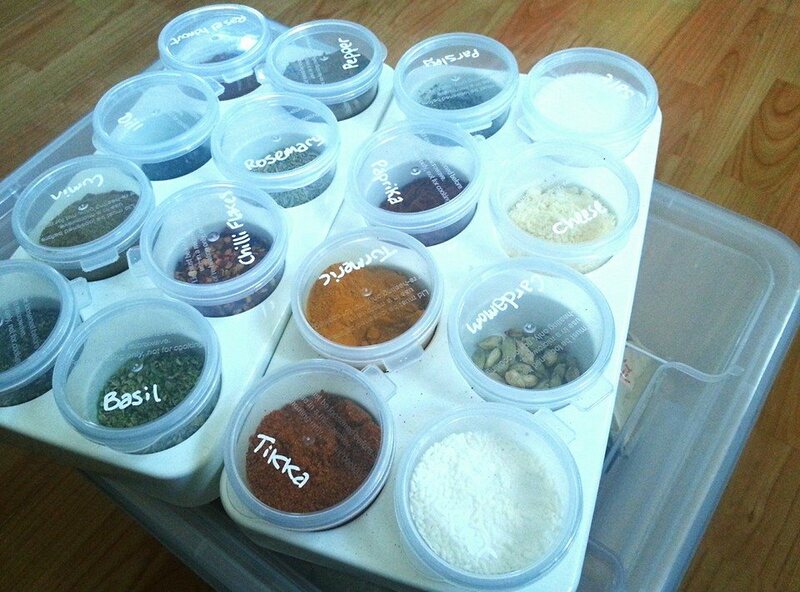 Nowhere seems to produce anything for herb and spice storage that's aimed at the travelling chef. But I've found the perfect thing. A plastic tray holding eight plastic pots. It's designed for storing and freezing baby meals but it's absolutely perfect for our needs. Plus it was a bargain too! I bought two so we can carry 16 herbs and spices, and one tray stacks nicely on top of the other. They're £2.50 from Asda. Now we know we're getting a campervan, each weekend without it is almost unbearable. This weekend the weather forecast predicted gloriously warm days and so we decided to get the tent out. We gathered up some of our new campervan purchases including our wood stoves, threw it all in the back of the car and set off for Wales, to a campsite I'm hoping we'll visit regularly. Cwmdu in the Black Mountains is a site we've visited several times before and we like it for it's quiet and simple feel. It's not open during the winter though, and since we're expecting delivery of the campervan in December we'll not be able to make our first overnight stay there. It took longer to get there than we'd planned on and we ended up setting up the tent in the dark. This was made a little easier thanks to the wind-up LED lamp I was given for my birthday - 23 LEDs combine to create an almost floodlit area. Yesterday we flew to Kefalonia on our fifth overseas holiday this year. I wasn't nearly as excited about this holiday knowing our campervan is ordered. 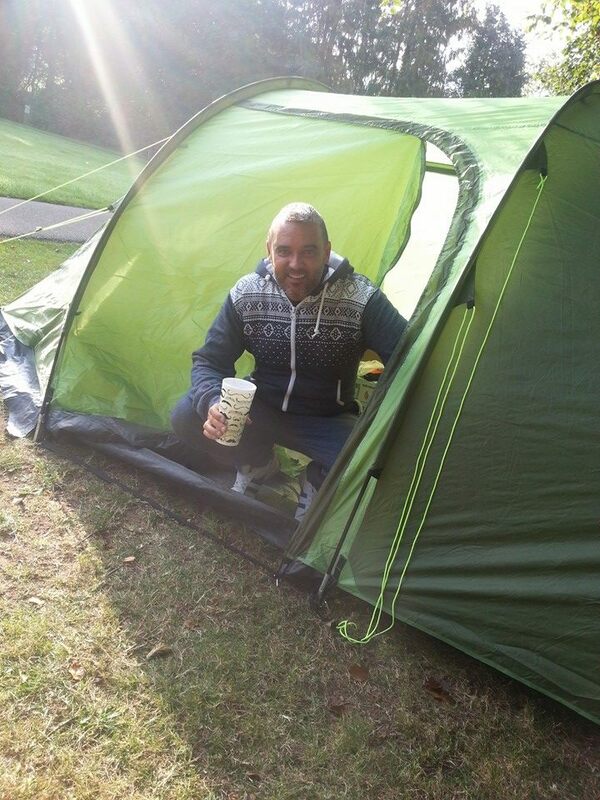 I want camping holidays and I want them now! All I really want from a holiday is relaxation. That has previously come in the form of beach holidays, usually to Greek islands, where we'll spend days lounging by the sea, reading books or listening to music, and evenings sitting on our balcony with a bottle of wine. I'm now imagining days spent parked up alongside a river bank or lake, maybe the sea, sitting outside our campervan, reading or listening to music. The same kind of relaxing stuff but on our terms. We'll no longer be beholden to the tour companies and the destinations they've decided people want to visit. We won't have to catch a 6am flight, wait for our luggage or be shepherded onto and off transfer busses by eager tour reps.
Do we want accessories decorated with vintage campervans when we're buying a brand new VW T5 California? Totally. Some might wonder if they depict the van we'd have rather become owners of, however I just appreciate them for what they represent: the freedom of the road. And I feel owning a brand new California gives us that freedom along with piece of mind. Vintage vans are beautiful to look at whereas the T5 California looks much like a utility van. I think our personalities will demonstrate that it's our weekend hideaway. The bike rack on the back and bunting in the windows shouldn't leave much doubt. Neither myself or my Partner Tony are the least bit mechanically minded, and a vintage van and the problems they can come with it just totally out of the question, especially when thinking about the distances we intend to cover. So while our T5 might not have the grace of a vintage camper, it represents the freedom that must be felt by owners of vans old or new. Usually I'm stuck when family and friends ask for gift ideas for my birthday or Christmas but kitting out a campervan presents so many opportunities. We threw a birthday bash last night (because we're flying to Kefalonia at 8am on my actual birthday tomorrow) and our kit has grown considerably. We have a very substantial camping light with 25 LEDs that's almost blinding it's so bright, and it charges by winding it up or through the van's cigarette lighter socket. 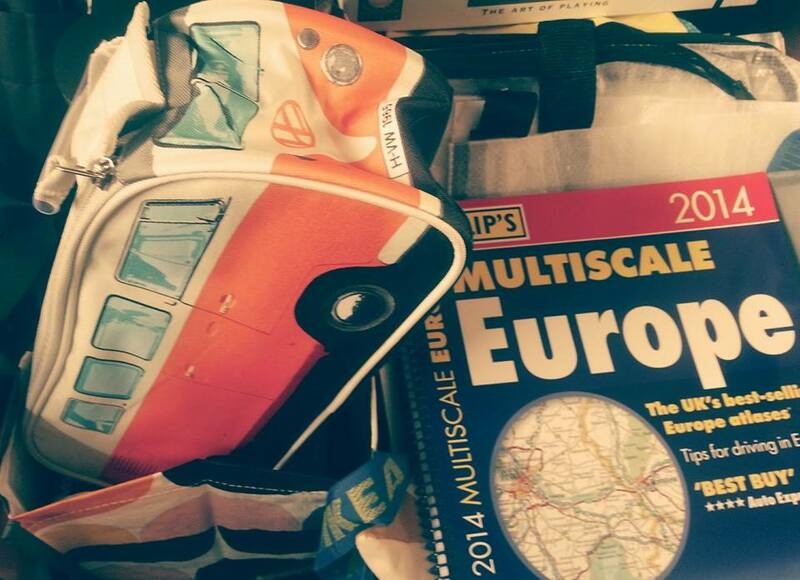 I was also given a camping kettle, camping shower, giant road map of Europe, oven gloves, and plastic wine glasses. My favourite gift is a campervan wash bag. It's shaped and styled on a vintage campervan and it's absolutely awesome. We've ordered the van and paid a deposit. That's huge! It means we're getting a campervan. But there's around a four-month wait for it to be built in Germany. After waiting for so many years to do this, four more months seems like forever. We've begun filling the time by shopping for it! There were four basic options for the colour of our van and I didn't like the paid options so much to persuade me it was worth the extra money. So we chose sunny yellow. The sales rep. said nobody ever orders it in yellow - this makes me feel I'm getting something unique and I love our choice even more. 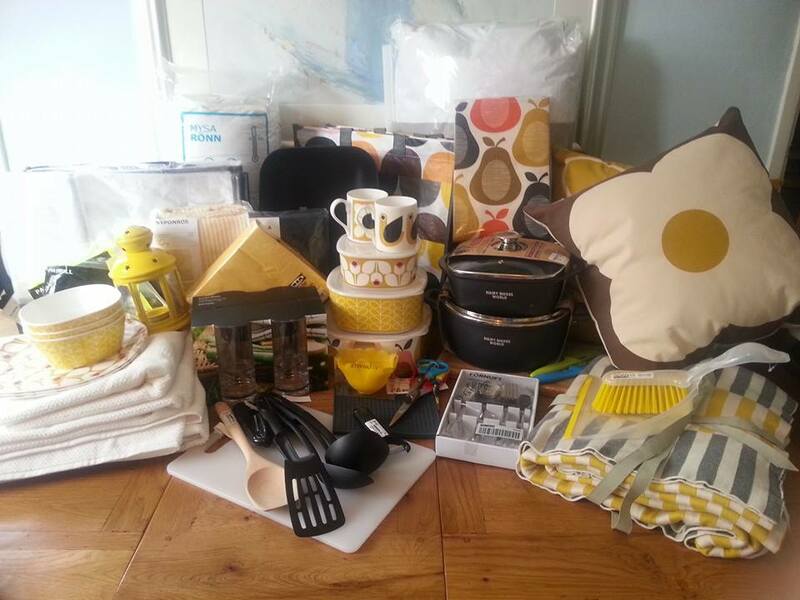 I also love that yellow seems to be an 'in' colour this season because it's making shopping for accessories easy. Yesterday a trip to IKEA and John Lewis netted the haul pictured here. My favourite pieces are the Orla Kiely items. They'll compliment the colour of our van and add a little bit of retro to our modern day campervan. Can I afford a campervan? No. Have I just bought one? Yes! 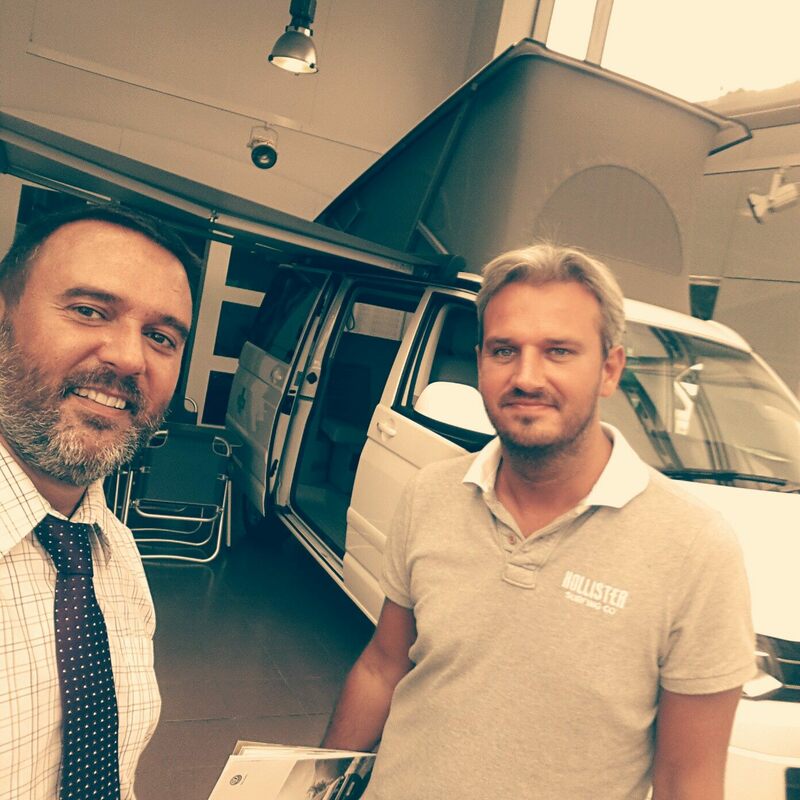 My partner and I just bought a campervan. I can't believe it - I've wanted one for years but it's other people who have campervans, not us; they cost a small fortune. OK, so it's going to take five years for us both to pay off the loans we just took out. We could have saved for five years but that would have been five years we didn't have the campervan. This way we're forced to budget for it and we know it will be paid off in time for my mid-career break. I have a great employer which allows its staff six months of paid leave after 25 years' service. I've worked for the company for 19 years and so my long leave is now so close I've actually started making plans. This is why we need the campervan because we're going to spend six months touring around mainland Europe.